The Best Nest of Georgia: Creating a better backyard experience! 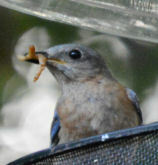 The Wild Bird Center of Johns Creek is a neighborhood retail specialty store focusing on backyard bird feeding. Seed/Feeders/Houses/Gifts/& More! 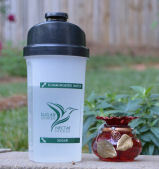 The original Sugar Shaker Nectar Maker(R) is the fastest, easiest, cleanest, way to make Hummingbird Nectar. Make you nectar in UNDER 30 SECONDS using just sugar & cold water! Bird Ready(TM) is our newest brand focusing on premium live and dried mealworms. All new products developed by the Best Nest of Georgia will under this brand.